There is a player pool of local players available to fill in if a team loses a member, which happened this evening when NL's lead, Lanie Woodfine was unable to play and the team did not have an alternate. David Graves, who is a member of the local club, played in her place. 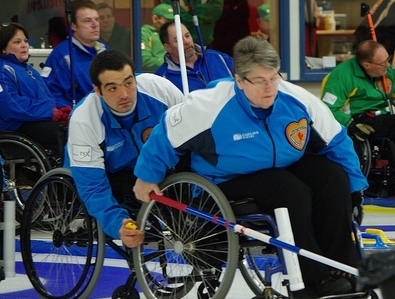 It took seven games for Newfoundland-Labrador to gain their first lead, a two against the hammer playing the Host Team. It soon dissolved into a 5-2 deficit at the break. But this time, rather than fold, Joanne MacDonald rallied her team to another lead, 6-5 after 7. Would this be the shock of the round? Would winless Newfoundland-Labrador, who had not previously managed to post a score in the 8th, beat the local favourites? We had to wait for an extra end for the answer as Host Team took their single with hammer to force an extra. There would be no fairytale ending for the visitors as Hosts stole the winning point to keep their playoff hopes alive, and deprive their opponents of that elusive first win. 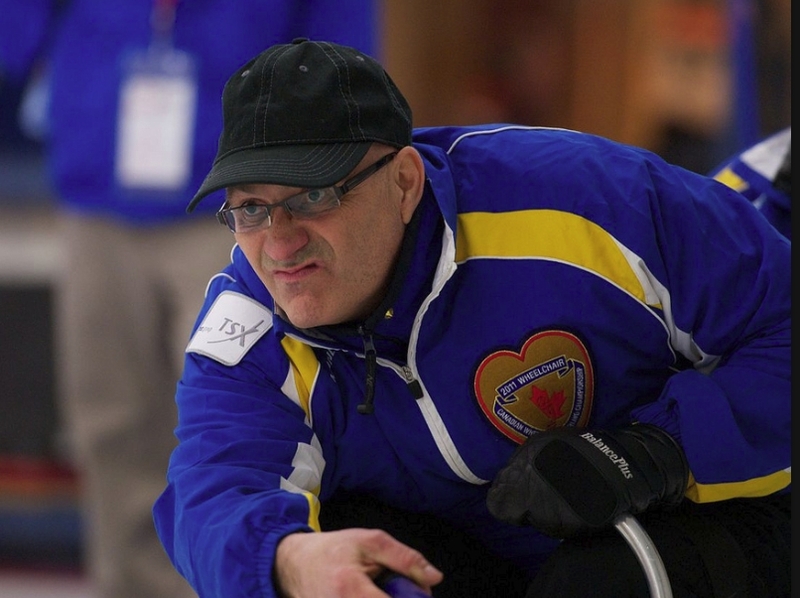 Unbeaten Alberta were given a scare by Northern Ontario, despite leading by four after two ends. In the third a "rockslide" in front of the house as described by a coach prevented N. Ontario from claiming more than a single. But in the next end a double by N. Ontario and an Alberta miss meant a steal of 2. That was followed by another N. Ontario steal of 2 when Bruno's hit rolled out of the rings. In the 6th, a hit for five by Alberta went rogue and Alberta found themselves two back with two to play. N. Ontario failed to close down the 7th end and Bruno drew to the 8 foot to post a game leading 4. 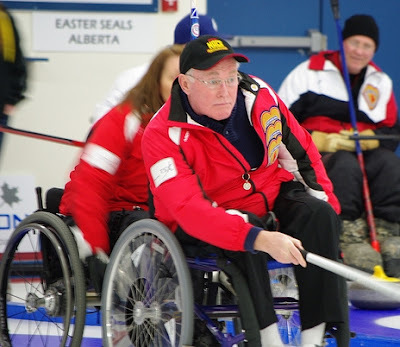 Though Northern Ontario attempted a double that "would have troubled Kevin Martin" with their last rock, they scored only 1 and Alberta won 8-7 to remain undefeated at the top of the table. 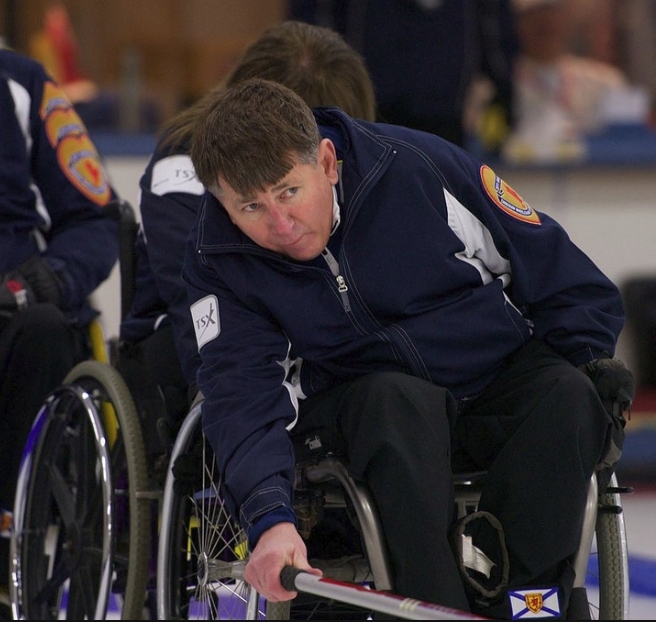 Second place Nova Scotia appeared to be coasting to a comfortable victory over Ontario, ahead 7-1 after five ends. But they had to fight off a come-back from Ontario, who stole 3 in the 7th before being run out of rocks in a 7-5 defeat. 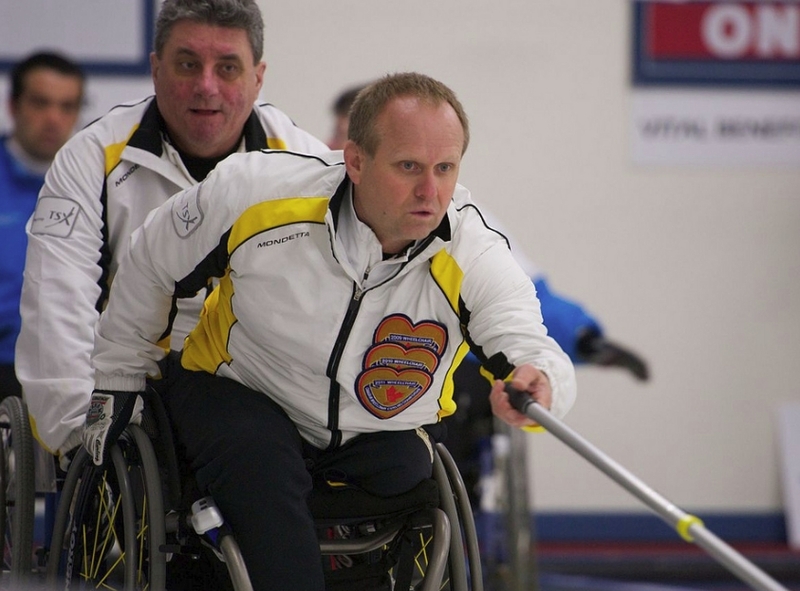 The win guarantees Nova Scotia at least a tie-break. Manitoba were played tough by Saskatchewan but a steal of 2 in the 7th sealed their 5th win and they need only to win one of their games tomorrow, against the Host Team or Newfoundland-Labrador to be certain of at least a tie-break. Quebec have finally found their game, though they may have left it too late. This evening they beat BC, stealing 2 in the 1st and 3 in the 6th before again showing some defensive fragility by allowing a 3 in the 7th letting BC pull within two. Quebec made no mistake in the final end though, closing out a 7-5 win and keeping faint playoff hopes alive. Quebec play two teams (SK and ON) with just 3 wins between them, but they will need help if they are to play Saturday.